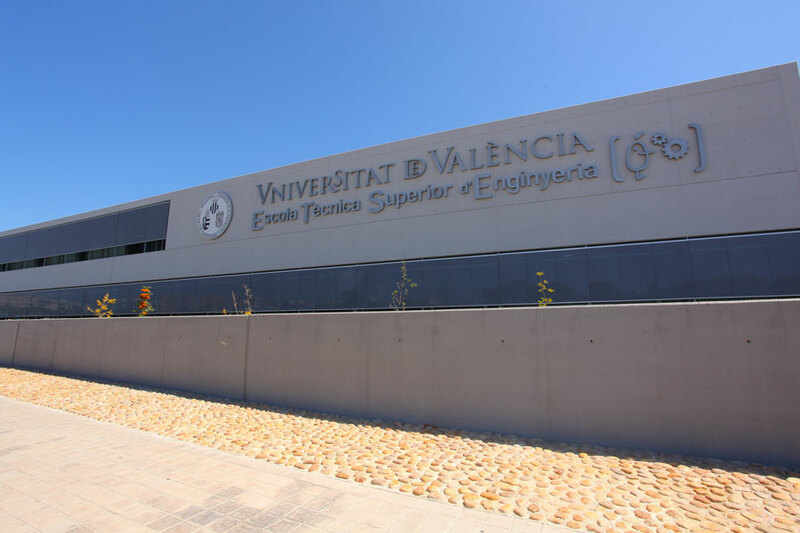 The Engineering school (ETSE-UV) is the centre of the Valencian University in charge of gathering, co-ordinating and projecting its engineering degrees and specialists who have worked for decades in the application of science and technology to resolve problems following the engineering methods and techniques. 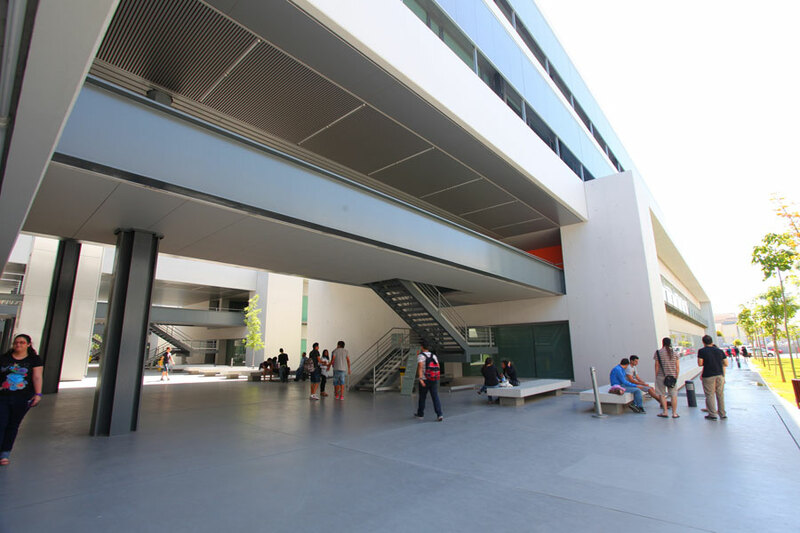 The new installations have been designed as a modular and tiered small town, developed over four levels. 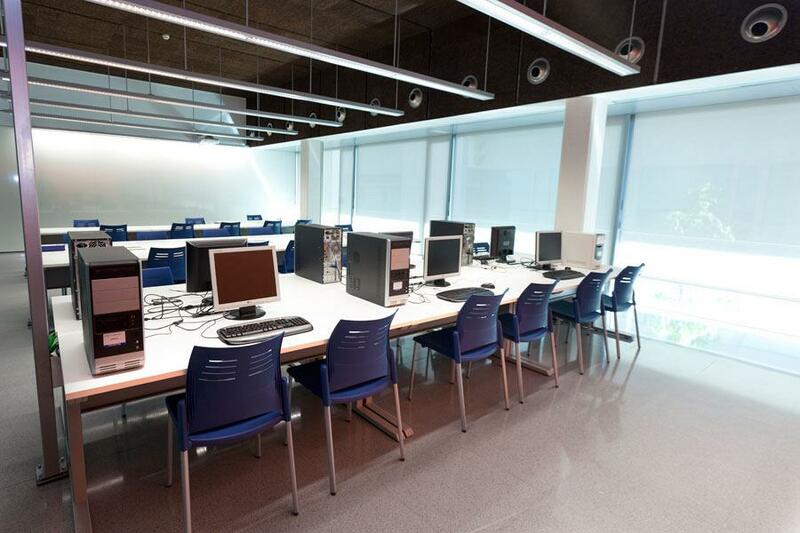 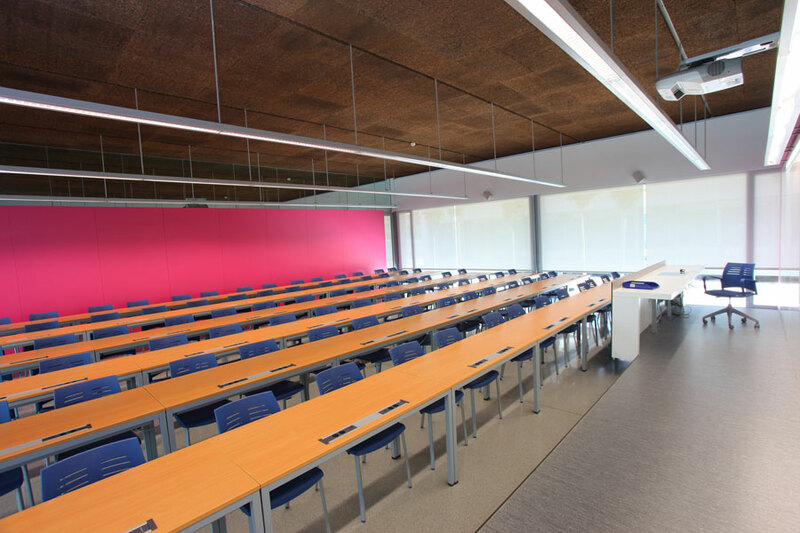 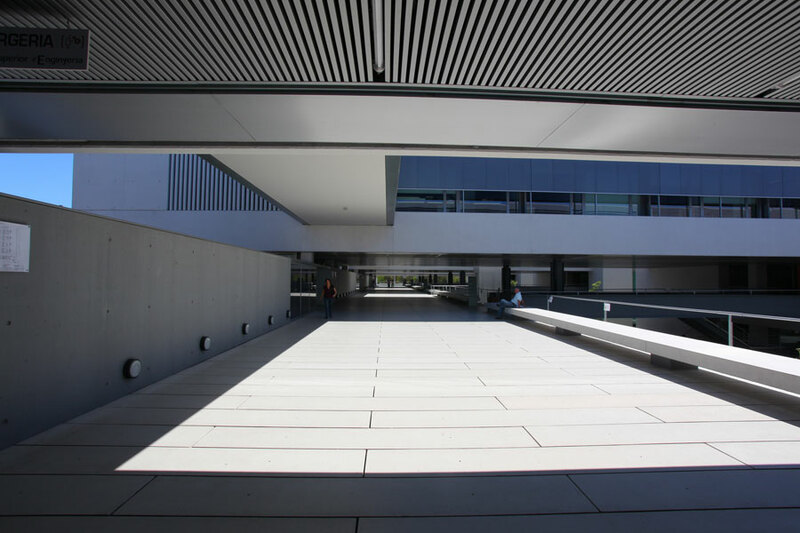 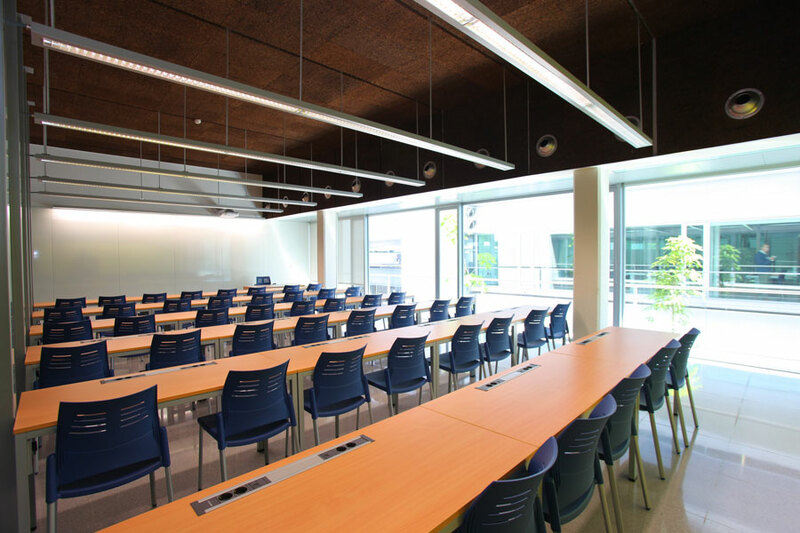 The lower two floors are designed for parking, seminars, classrooms and teaching laboratories. 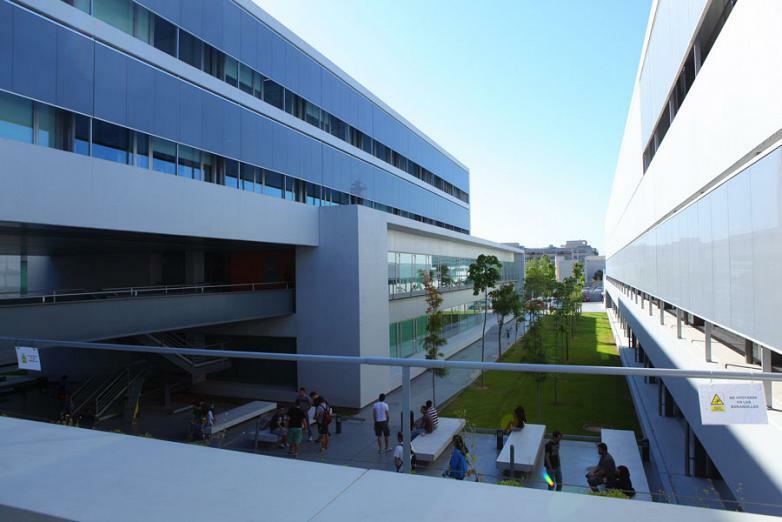 The upper two, departments, offices and research laboratories. 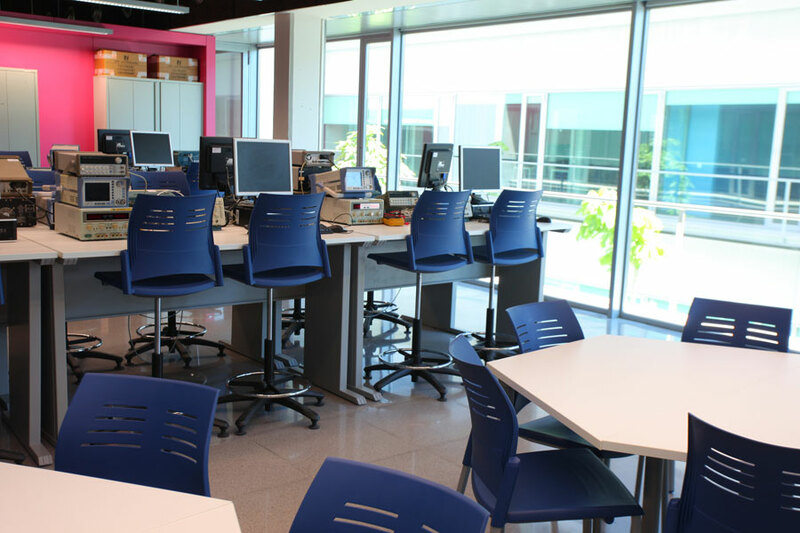 The program includes three departments: IT, Electronic Engineering and Chemistry. This new building has enabled all the installations of the centre to be grouped into one unique building with the modern facilities to serve all the Engineering students at UV. 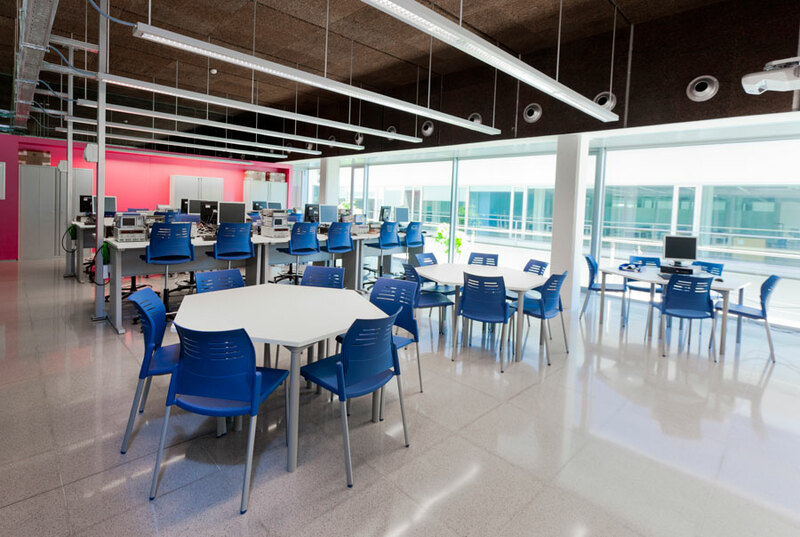 The Actiu Spacio chair, light and functional is a wise solution to equip public and intensive use environments such as in the case of numerous laboratories, multi-purpose and specific spaces, which are at the new ETSE-UV. 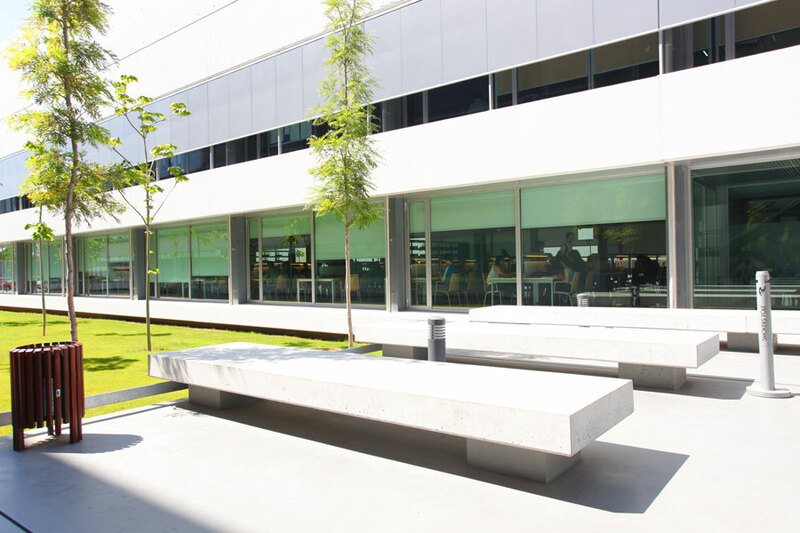 For this project the four legged model and the stool versions have been used, both with arms for greater flexibility of movements. 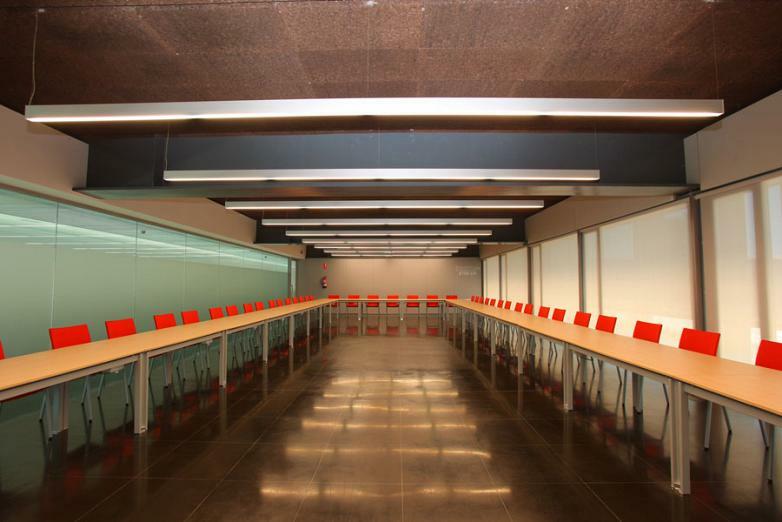 The Dynamic desk in its hexagonal version for communities enable comfortable working in groups. 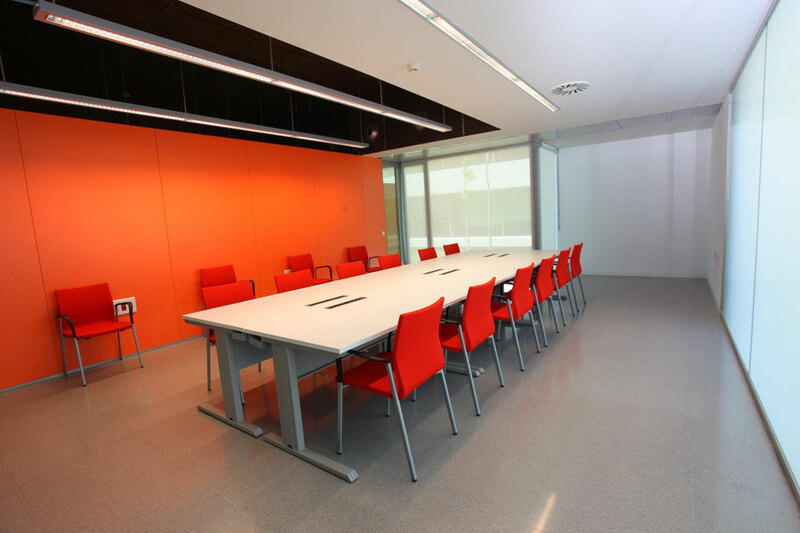 Spacio is present in multiple areas in these new facilities. 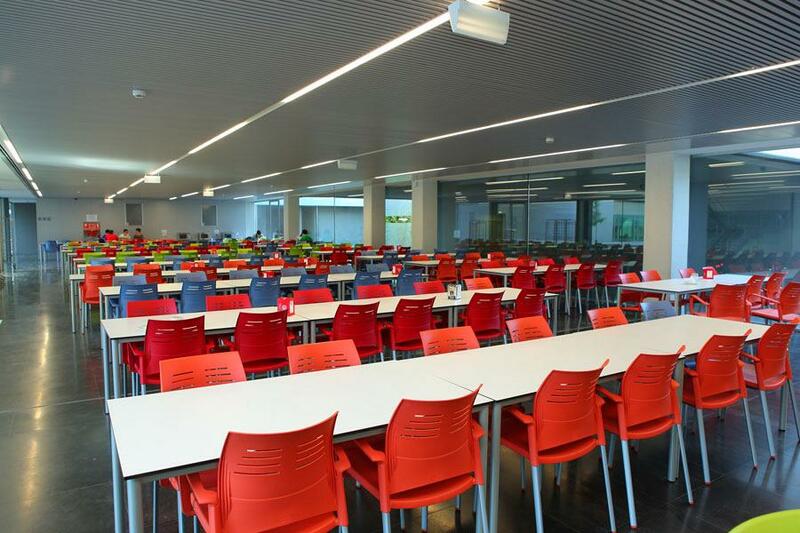 Its ergonomic back manufactured in polypropylene with fibre glass and perspiration slots makes it ideal for collective environments. 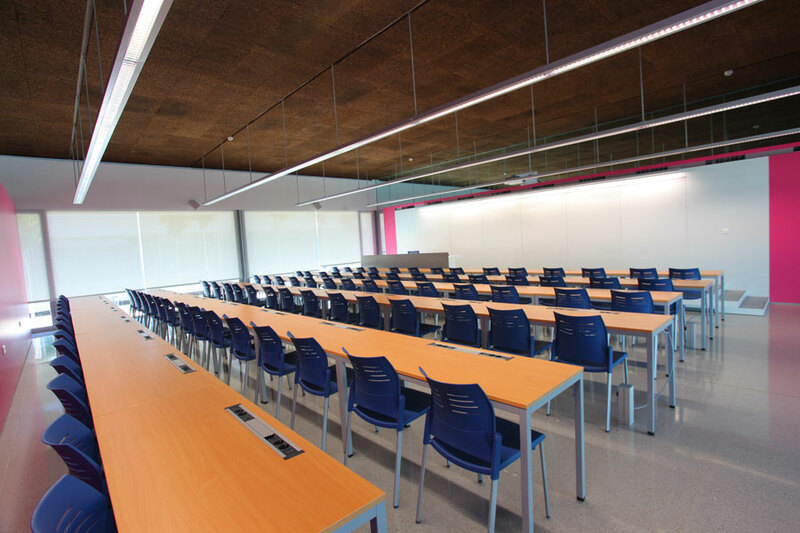 Here we can find another of its possible variants, the model with gas elevation, with silent castors and armrests. 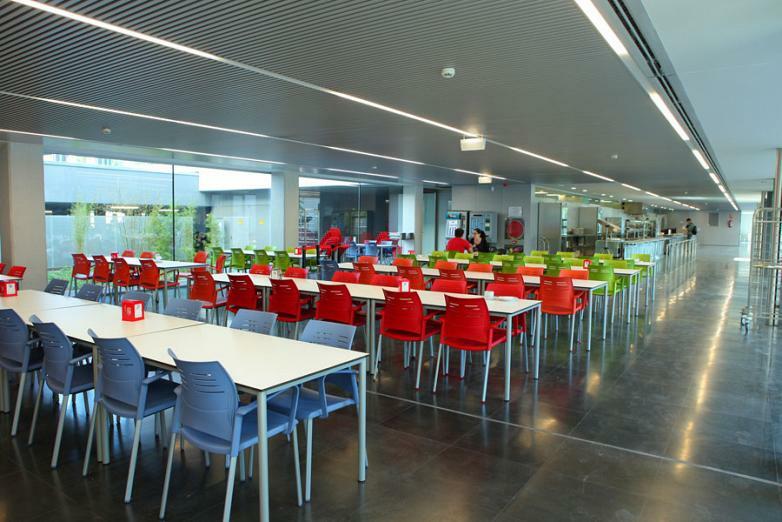 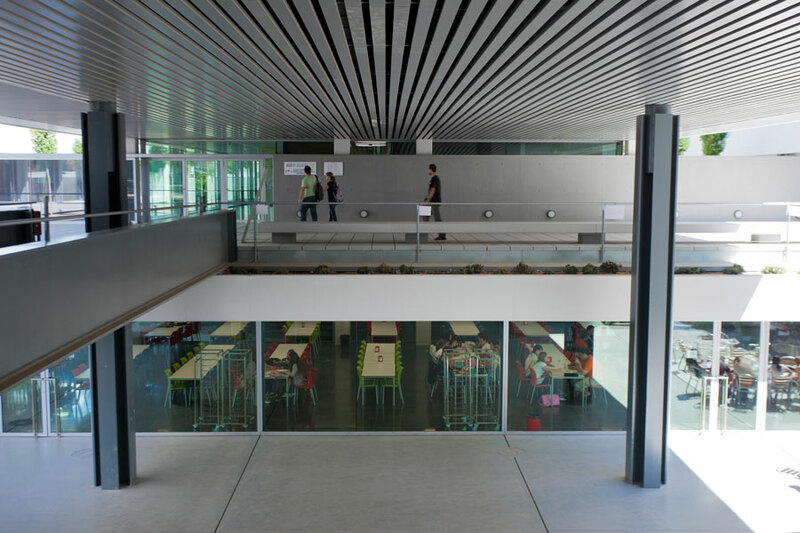 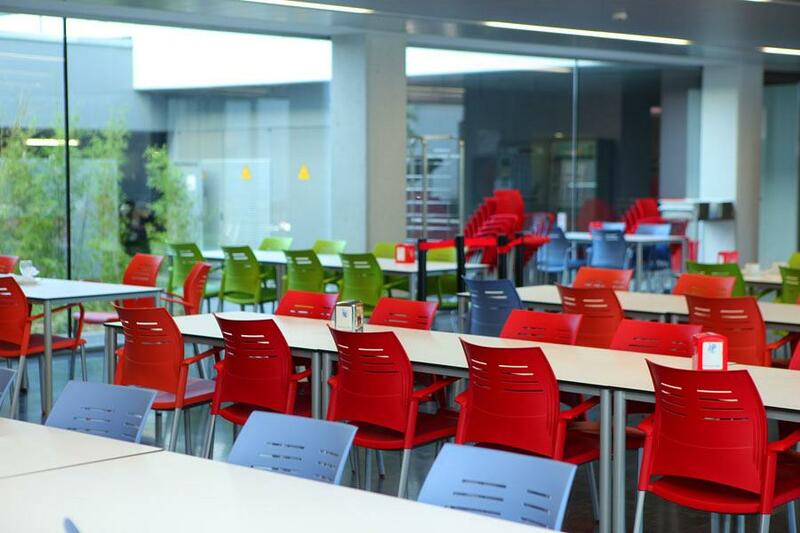 The combination of the Spacio chair and the Dynamic desk have been used in turn, but in a completely different environment, in the cafe area of the ETSE-UV. 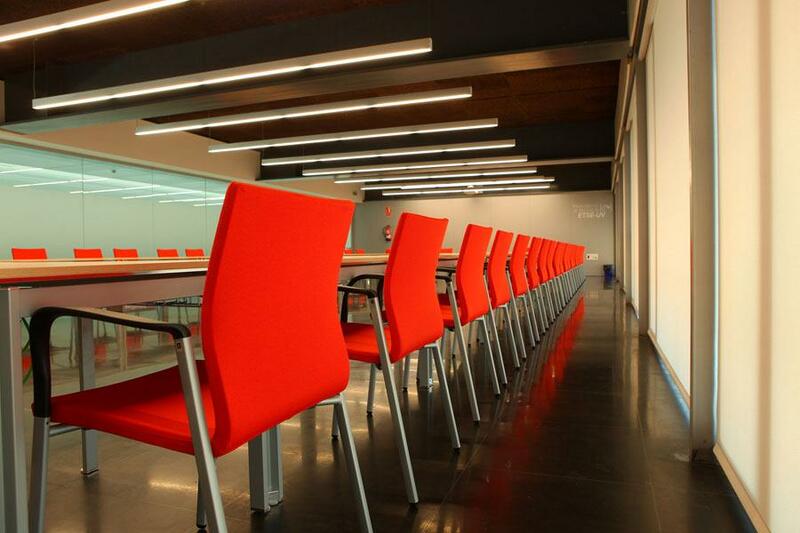 The Spacio chair squeezes all its colour capacity into this environment to create a fresh and cheerful room. 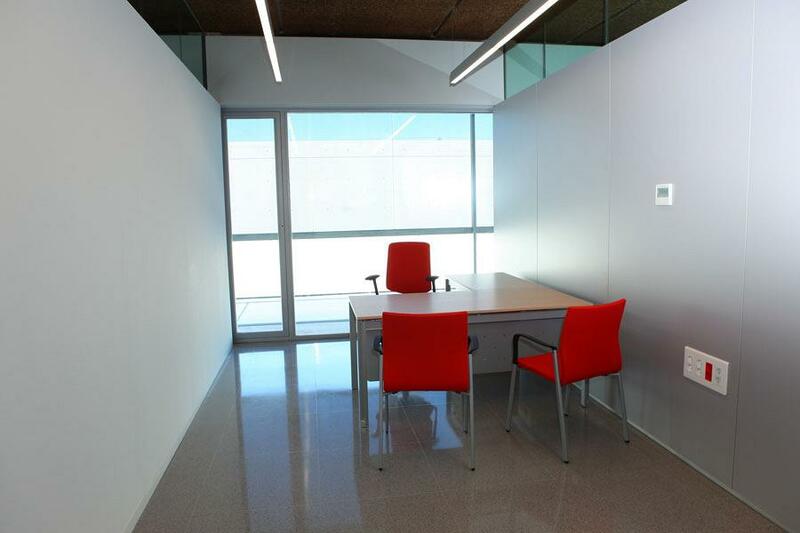 Dynamic is set out using the straight desk model with a white top and aluminised legs. The natural and ergonomic lines of Uma, its understated style and elegant presence is complemented by the comfort which is provided by its interior steel structure with injected polyurethane foam. 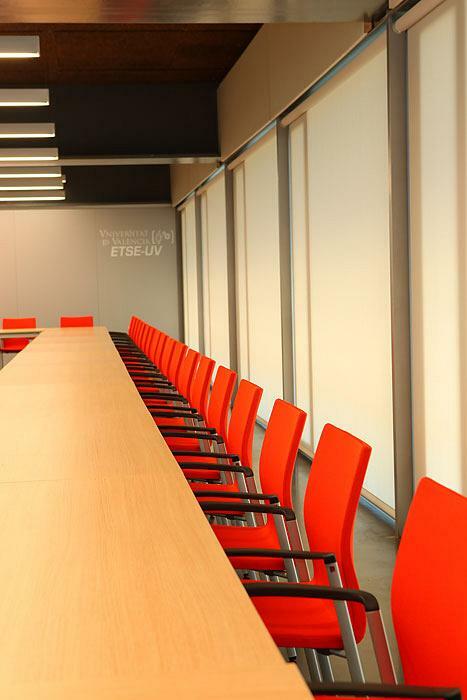 It is highly recommended for meeting rooms, boardrooms, conferences and for visitor rooms. 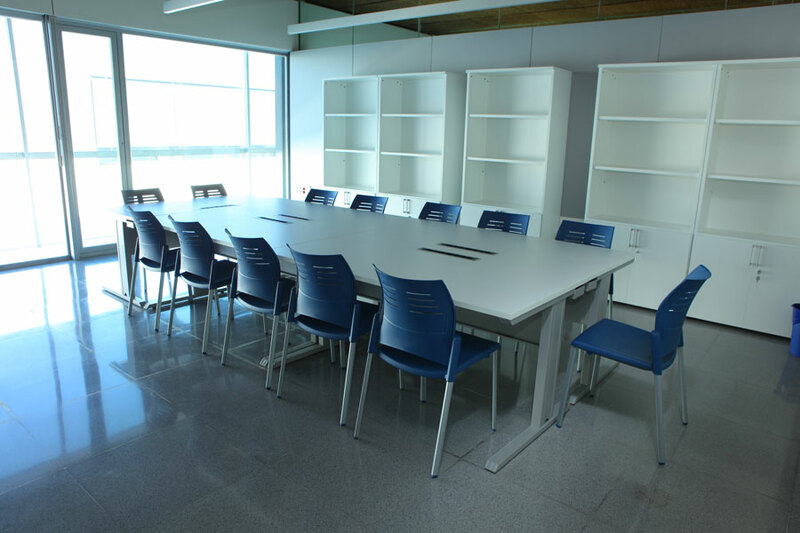 The project was complemented with the ergonomic chair Idonia and mobile filing pedestals in the offices, laboratories and administration areas.